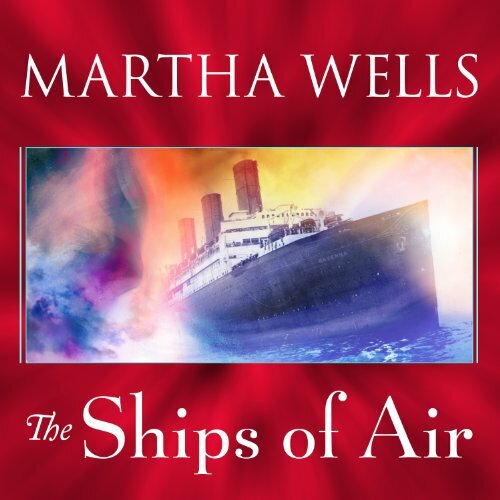 Known for her lush, intricate worlds and complex characters, acclaimed author Martha Wells has delighted readers with her extraordinary fantasy novels of daring and wit. With The Wizard Hunters she launched her most ambitious undertaking yet-the return to the beloved world of the Nebula Award-nominated The Death of the Necromancer and The Fall of Ile-Rien. Now the saga continues in a triumph of suspense and imagination. Despite a valiant struggle against superior forces, the country of Ile-Rien has fallen to the onslaught of the relentless Gardier, a faceless army of sorcerers determined to conquer all civilization. To save the remnants of her country, former playwright Tremaine Valiarde undertakes an epic journey to stop the Gardier. Rescuing the proud ship Queen Ravenna from destruction, Tremaine and a resolute band of sorcerers and warriors set sail across magical seas on a voyage of danger and discovery. For the secret to defeating the enemy - and to rescuing the world from the Gardier's inimitable hatred-lies far beyond the walls of the world, and only the tenuous ties of friendship and honor will keep the band together. But the Gardier are not the only evil in this tumultuous world, and an ancient terror stalks the ornate rooms and shadowy decks of the Queen Ravenna-a force so malevolent and enigmatic that even the growing power of the sorcerer's sphere may not be enough to save Ile-Rien from utter ruin. Love these books. The gal they have reading this series though sounds robotic at times. Kind of like the female voice you get when you call a number and you get an automated system. Other than that I'm enjoying listening to this again. The last time I listened to this series my fiance was the one reading it to me. The rich worldbuilding and strong characters continue from the previous book. The narrator tends to over-enunciate, but the story itself is so compelling that it hardly matters.